The toad is staring at me quizzically. Sitting on its haunches, and covered entirely in a garish mosaic, it’s hard to associate this handsome (and admittedly, entirely fibreglass) creature with the work of one of the 20th century’s most maudlin poets; a man who spent his life in a city which, both geographically and culturally, has long seemed about as far away from the vibrant creative hubs of the UK as it was actually possible to get. Yet here the toad, one of 40 that have all been individually designed by local artists, sits on a grassy square behind an expanse of cocoa and olive-coloured waters. Seemingly as wide as the Amazon river, this estuary yawns outwards underneath scudding, marbled clouds spilling soft colour onto Hull, a city that according to one local poet had the feel of something approaching a town at the end of the world. “When your train comes to rest in Paragon Station against a row of docile buffers, you alight with an end-of-the-line sense of freedom.” So wrote Philip Larkin, the modest, self-effacing genius of 20th-century English poetry whose stanzas (including his iconic lament to the act of having a job – called Toads), even 30 years on from his death, are still lauded for their art of turning the mundane into the monumental. Later that afternoon, draining my amber ale outside the stout, battleship-shaped edifice of The Minerva pubic house on the old dock front, I wander back inside to a muffled hum of bonhomie. There’s a man at the bar showing other customers his glass eye. Somebody shouts ‘cheers’ with enthusiasm as the wind outside gasps and scurries around a flock of smokers. 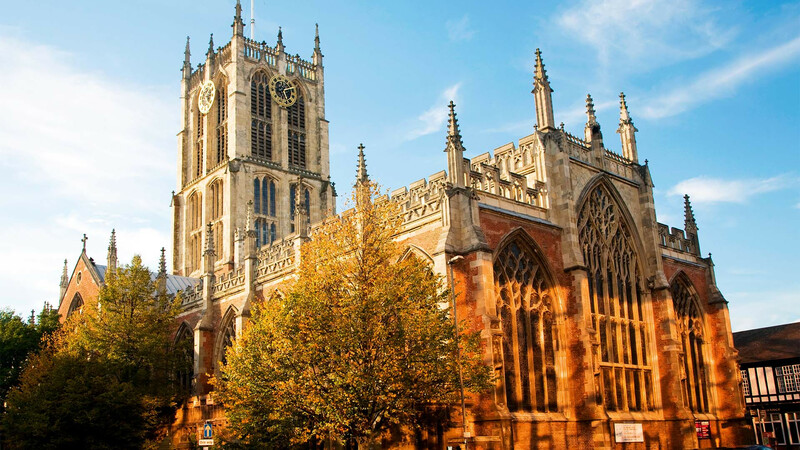 The fact that Larkin, a librarian in the city’s university, made Hull in East Yorkshire his home for over three decades seemed, for many years, to be a perfect fit. Gloomy, post-industrial, windswept and unloved, Hull, like so many cities in the north of the UK, seemed to be infused with a sense of quiet yet terminal decline that matched perfectly with Larkin’s tales of empty trains, gas heaters and windy parks. So why then does this city, a one-syllable reason for never venturing north of the Cotswolds for so many, now contain dozens of immaculate yachts in the harbour? Why are the streets of Newlands Avenue crammed with chic pavement bistros, live music venues, gelato cafes, galleries and vintage stores? And why, to the shock of so many, is Hull the place that’s been awarded the title of UK City of Culture for 2017? “The isolation does, I think, hugely work to our advantage”, says Rick Welton, creator of the Larkin Trail and one of many passionate locals turning the city into one of the more unlikely success stories of the north. The trail takes you to the main sites in the city associated with the writer who, in the 1980s, apparently turned down the role of Poet Laureate because he couldn’t be bothered with the work and publicity. As we stand in the new marina, surrounded by handsome old warehouses now converted into restaurants serving tapas, oysters and linguini, it’s impossible not to feel Hull’s geographical uniqueness and begin to understand that, in a nation whose high streets now seem identikit from Aldershot to Aberdeen, this is one of the few cities left that still feels utterly distinctive. A mere two-and-a-half hours direct from London King’s Cross by train, Hull seems to have found, through a mixture of accident and design, a way of blending the past and the present in a manner that feels both natural and astonishingly affable. The hospitality alone is enough to make any Londoner feel they’ve travelled to a different planet. Everyone is called ‘love’, food portions are gargantuan and it’s all but impossible to find a pint that costs over £3. And the pubs themselves are strong contenders for being some of the most atmospheric and original in the country. Straddled around a narrow street with the wonderful name of Land of Green Ginger, there are ancient taverns with a wealth of history such as Ye Olde White Harte, where amid creaking floorboards, oak-panelled walls and ancient beams lies the Plotting Room, where the decision not to let Charles I and his royalist troops into the city was a major turning point in the lead up to the English Civil war in 1642. 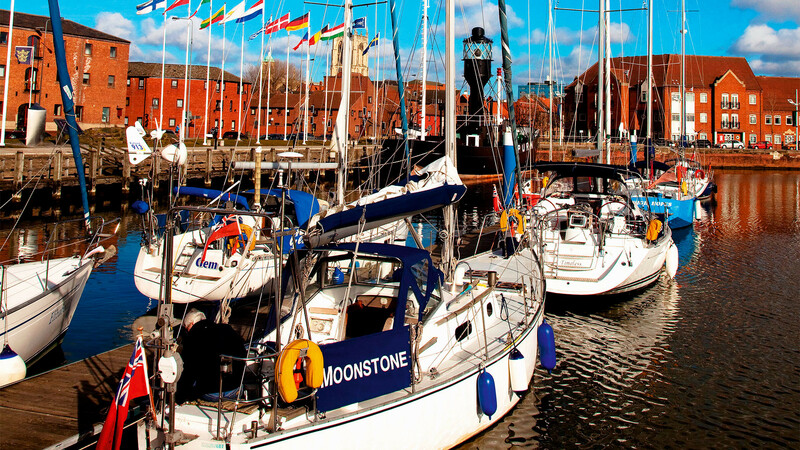 It’s a five-minute walk from here to the tiny cobbled lane of the city’s original High Street, where one of Hull’s other great local heroes once resided. William Wilberforce – the town’s MP whose bill presented in parliament resulted in the abolition of slavery in 1833 – lived here, and his high-windowed, red-brick Georgian home is now the fulcrum of the Museum Quarter, complete with Slavery Museum and Streetlife exhibit. 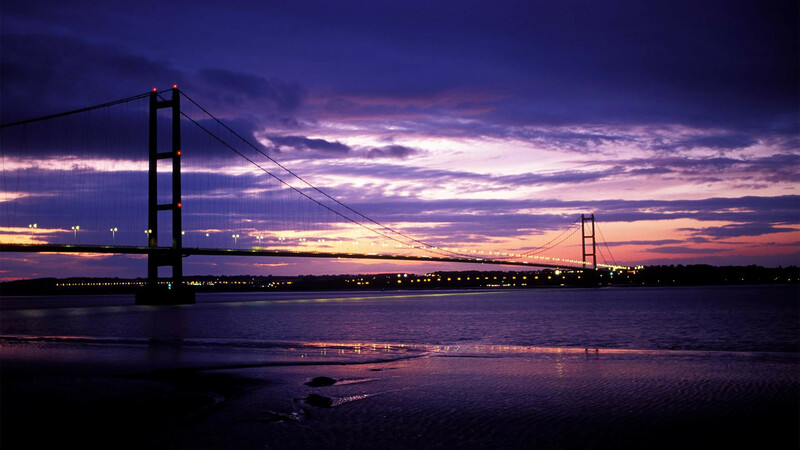 Diverting as all this civic pride is, Hull’s real charm comes from a more ineffable place. There’s something in the vast expanses of the Humber with the faded blur of rural Lincolnshire in the far distance that creates a sense of belonging. It’s a feeling that here, far away from the standard UK travel itinerary of Roman ruins in Bath, dreaming spires in Oxford and twee tea shops in the Cotswolds, lies the real essence of England; a city at the edge of our small island that, with both stoicism and determination, has produced both great things and great people. 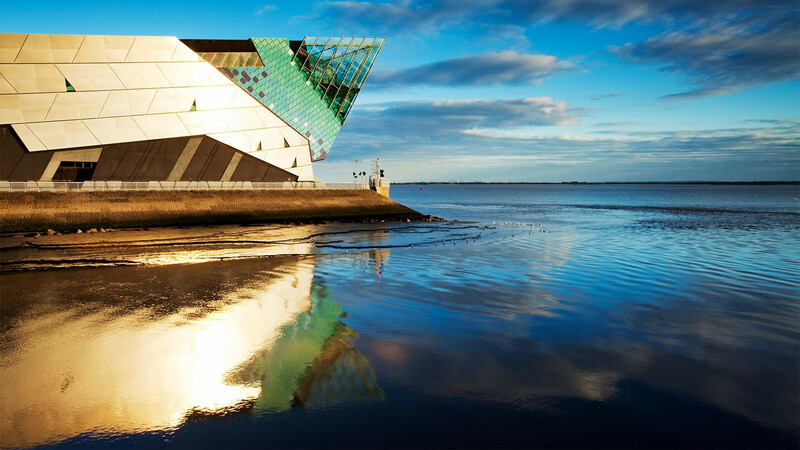 As Larkin himself once wrote, Hull is “a city that is in the world, yet sufficiently on the edge of it to have a different resonance.” And he probably never even saw the bloke with the glass eye. For more information on visiting Hull, walking the Larkin Trail and on the UK City of Culture 2017 build-up go to visithullandeastyorkshire.com. Rob stayed at the Holiday Inn Marina (hihullmarinahotel.co.uk), where doubles start from £186 including dinner and breakfast. Virgin Trains East Coast (virgintrainseastcoast.com; 03457 225 333) run from London Kings Cross to Hull with fares from £94 return.